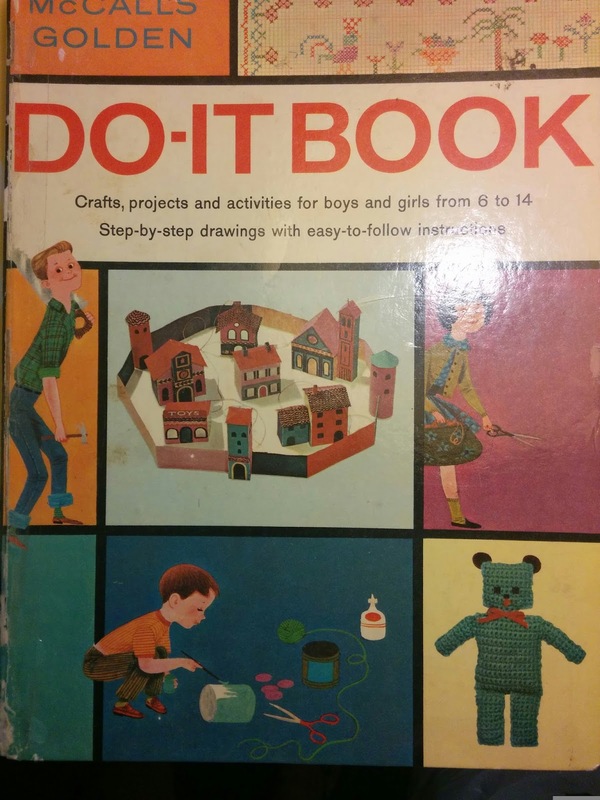 Old craft books are so fun to peruse. Whether they suggest making a train out of cardboard oatmeal containers or animals from wooden spools and pipe cleaners, it's fun to imagine my mom and dad working diligently on projects from the past. The colorful graphics are a great bonus, too. I'm planning to frame this dapper fox and hang him on my gallery wall. 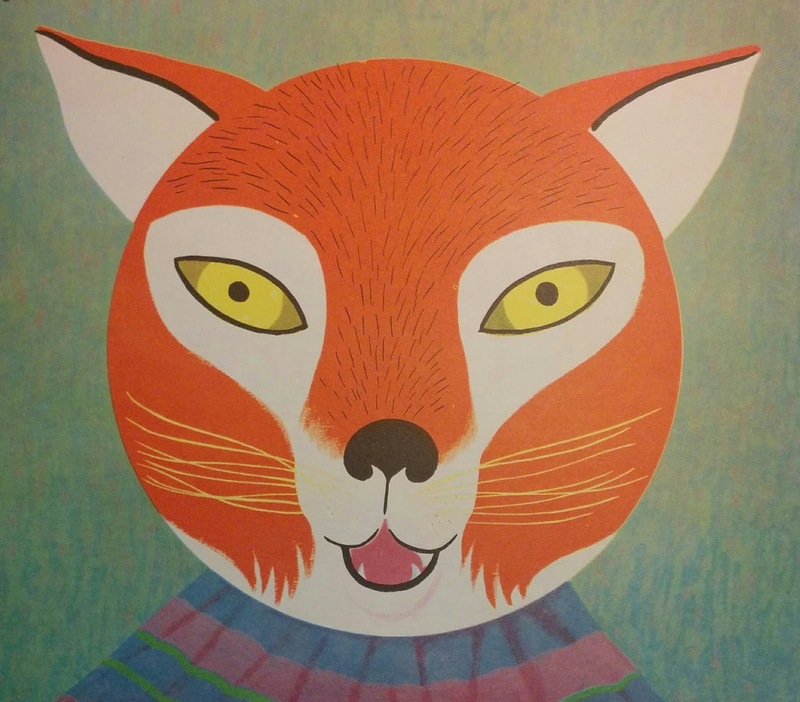 The original project suggests making a puppet with a painted paper plate for a head. 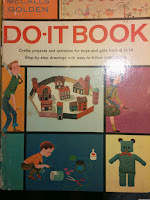 Thrift and antique stores are great places to find books like the "Do-It Book" from McCall and Golden shown below. I'm often surprised at the advanced level of crafts considered appropriate for young kids. Tools like carving knives, saws, sewing machines, etc. are shown as a perfectly normal thing for a kid to be using, but I don't know many parents who let their kids use sharp objects. I let my son carry a pocket knife and use saws around age 10 with supervision, and he was very responsible. We only had one injury, to a picnic table bench he was using as a saw horse. But that was a great opportunity to teach him about wood putty and paint! What is a favorite craft from your childhood you passed on to kids in your life? We had a lot of fun with pipe cleaner animals around ages 5-6, which were a great road trip activity. Thanks for stopping by and keep living the cute life!